Homeowners have their home insurance, but what about renters? Just because you are a renter, it doesn’t mean you should not have the same kind of protection that homeowners enjoy. Renters insurance is an inexpensive yet valuable insurance for non-homeowners. 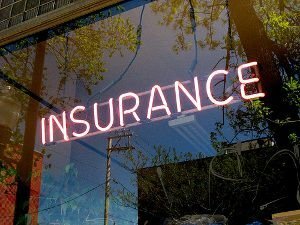 Unfortunately many renters forego the insurance, or don’t know about it at all. Whatever the case may be, a lack of renters insurance can cost you everything you own in case of a catastrophe. Renters insurance covers your belongings in the event those belongings are destroyed in a fire or natural disaster. Some policies also cover those items from theft out of your secured home. If you rent an apartment, condo, townhouse, or home your landlord is required to have insurance on the structure of the place you live. Many renters assume the landlord also carries insurance for all of the items inside the property. This is not the case; renter’s must carry their own insurance for their own belongings. Most renter’s insurance policies begin coverage at $15,000 to $25,000. Yet the policy might cost just $240 per year. Even if you live a very risk-free life and are always sure to turn the stove off, you cannot always control what happens to the place you’re living at. What if your apartment neighbor leaves the iron on and burns the whole building down? Your renters insurance would apply and you could replace everything you owned. A second benefit of renters insurance that is often forgotten is liability protection. If someone is injured at your residence — even if you don’t own the property — you can be sued for damaged. Most renters insurance policies include $100,000 (or more, if you select the option during the quote process) of liability protection. Not only are your belongings covered, but the insurance company has your financial back in case you are sued. Am I Covered During Natural Disasters? This is where things get tricky and you really must pay attention to the fine print of your policy. Whether or not a natural disaster is covered by your policy normally depends on the type of damage done. Most policies will cover damage caused by wind, but the same policy will exclude damages caused by flooding. If you rental house is hit by hurricane you could sustain both types of damages, and depending on the insurance adjuster’s perspective your claim may not be honored. Read your policy carefully and consider buying flood insurance if you are in a flood prone area. As with any insurance, the insurer encourages you to carry some of the risk of loss in the form of a deductible. Your deductible could be $0, $250, $500, or more depending on your policy. The higher your deductible, the less expensive your insurance policy will be. However, be sure to keep this cost in mind as you factor in paying for the policy on an annual basis. If you came home to a burned down residence, would you have an emergency fund in place to cover your deductible and short-term financial needs? For as little as $20 per month you can have insurance to replace literally everything you own inside your residence. Do a home inventory to figure out how much insurance you really need. You might be surprised you own more than you thought, enough to easily justify having a policy in place. Even if you don’t own a lot of replaceable property, the liability portion of renters insurance is needed to protect you from lawsuits. You can also lower the cost of your renters insurance by getting a policy with the same carrier that holds your car insurance. This is called having multiple lines of insurance, and to win that extra business the insurer offers a discount on one or both policies as an incentive for you to stick with them. Be sure to shop around for your insurance just in case you could get a lower price by going with another company. With so many people renting right now and losing their homes, renters insurance is a MUST have. Apartments get broken into all the time and if something happens that’s not your fault your renters insurance still covers it! As a single guy, I’ve never given this much thought. But after reading this articles and comments, I am going to go take a look. I guess any company that provide homeowners insurance also offer renters insurance, right? The liability protection often extends beyond the home if you damage someting or someone while someplace else or online. It’d be a bummer to lose a down payment on a house you’ve been saving up for because you had to use it to pay for a legal defense, even if you did nothing wrong. That’s the biggest benefit I see in renters’ insurance. Decent coverage is very cheap usually between $1-200 per year. Everyone should have coverage. One of the biggest reasons is fire or theft. Theft extends beyond your apartment, so it is worth it.